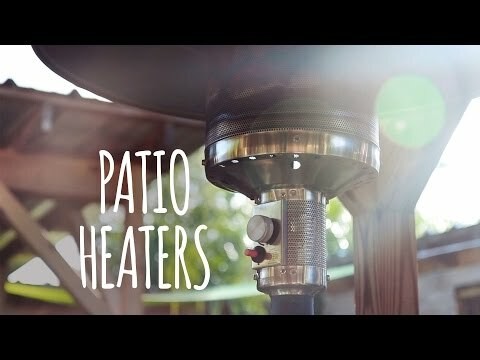 Bromic Heating warrants to the original purchaser of all patio heaters installed in residential and/or commercial locations to be free from defects or faults in materials or workmanship for a period of one (1) year from the original date of purchase. 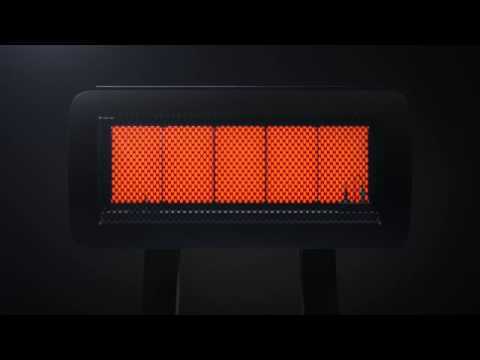 Unlike the dome of mushroom shaped patio heaters the Bromic Tungsten Smart-Heat freestanding heater has zero vertical heat loss. While most patio heaters heat the air around them, the Bromic Tungsten’s radiant infrared heating element heats the objects in the area to better warm your guests. The simple push of a button starts the heater and the patented flame failure safety technology ensures a risk-free operation. When it comes to wind resistance, the Bromic Tungsten is hard to beat. It can handle wind of up to 8 mph and gusts of up to 11 mph while remaining lit. If the flame does get blown out, it will attempt to relight the unit three times and if it is unsuccessful, the built-in regulator will disable the supply of gas to the unit. The warranty on this unit is for one (1) year from the original date of purchase. Carefully measure the area you are planning to heat. If you don’t know how many heaters you need for your space, our FREE outdoor heating design service is a great resource. We’ll help you determine your patio heating needs. Call one of our experts today 1-877-743-2269. 200 Sq. Ft. 200 Sq. Ft. 160 Sq. Ft. 144 Sq. Ft.